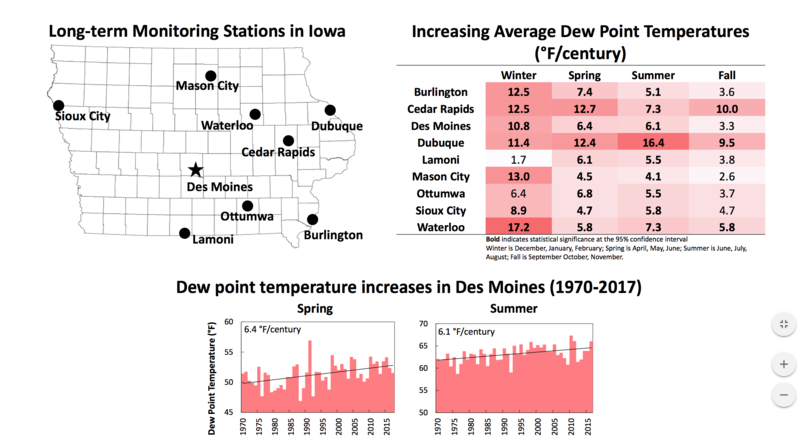 Students and researchers at the Iowa Flood Center (IFC) spent this summer working with NASA on a research project aiming to better understand and measure soil moisture. The IFC team, based at the University of Iowa, is working to compare soil moisture data provided by NASA’s Soil Moisture Active Passive (SMAP) satellite with data gathered on the ground by IFC’s soil-moisture monitoring sensors. Researchers are specifically comparing soil moisture data from the South Fork watershed near Ames, a tributary of the Iowa River. IFC’s ground instrumentation provides real-time soil moisture measurements to farmers and researchers, while NASA’s satellite collects information in a different way. Put simply, the SMAP satellite views the Earth surface at a specific microwave-radiation wavelength that allows it to see through vegetation. The more water that is held in the soil, the darker it appears to the satellite. NASA is comparing this data against that which is measured on the ground by IFC to determine whether the water held inside of crops affects the accuracy of satellite imaging. 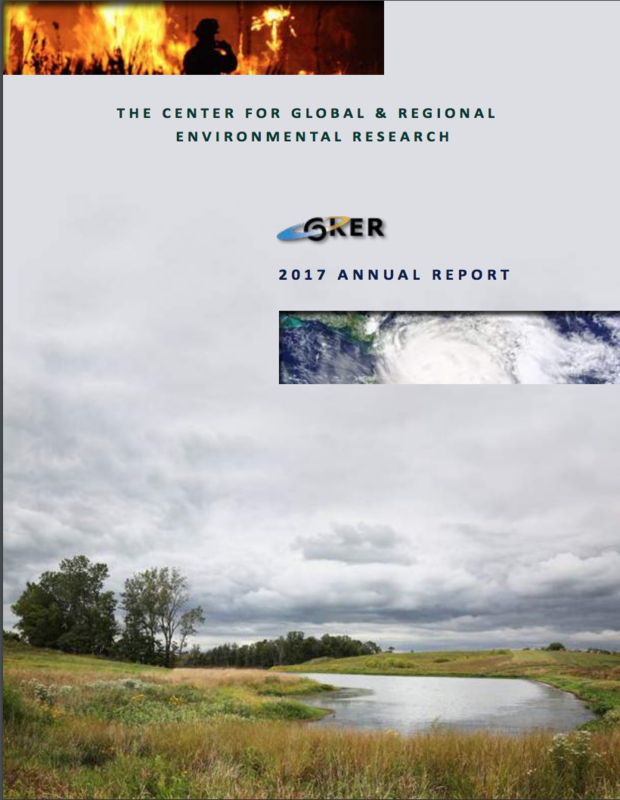 “As with many remote-sensing products, there is a continued need for evaluation,” says IFC Director Witold Krajewski. Validation of the satellite is a two part process. Researchers began by analyzing NASA’s satellite data from the end of May through early June, when crops were only beginning to emerge from the soil. During this first phase, IFC researchers and graduate students also set out to install and maintain soil-moisture instruments on the ground. They took a second look at soil moisture in early August when corn, soy, and other agricultural crops densely cover the ground in order to determine the satellite’s accuracy. IFC is working with research partners at Iowa State University as well as those from universities and institutions across the country.